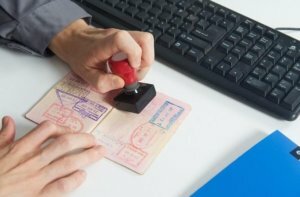 The UAE government recently announced visa reforms to the current system that will benefit families and visitors. The initiative is also aimed to help job seekers find suitable employment. The aim of the revised insurance policy is to ensure that employers will be able to invest better and contribute to the overall economic growth. Transit passengers are exempt from paying an entrance fee for the first 48 hours of their stay in the UAE. This can be extended to 96 hours for a fee of AED 50. A transit visa can easily be acquired from the express counters at the passport-control halls across airports in the UAE. For visitors who have overstayed in the UAE, they need not worry about receiving a “no-entry” stamp on their passports should they voluntarily leave the country. A new short-term visa will become available for those visitors who have over stayed in the UAE in order to find employment. This temporary visa shall hold a validity period of 6 months in total and be free of charge. Residents illegally entering the UAE will now be given the opportunity to exit the country and receive a “no- entry” stamp which shall be effective for only two (2) years. During the two year period, the individual will not be permitted to enter the UAE. As per the new rule, individuals will no longer be required to exit the country in order to adjust or renew their visas. He/she may remain in the country and make the necessary visa amendment for a small fee. The cabinet have decided to “empower people of determination”. This is to enable those people seeking employment opportunities to access the job market with ease in various sectors. The cabinet have also decided to set up the Asian Paralympic Committee in the UAE to serve as a hub that provides courses and training workshops for “people of determination”. The Government of the UAE and Russian Federation have now allowed mutual visa exemption requirements in order for their citizens to visit each other’s countries with ease. This move aims to boost tourism and investment opportunities in both the countries. Residency Visas will be extended for widows and divorced women and their children for one year without the need for a sponsor, starting from the date of spouse’s death or divorce. The new visa rules aims to give women the opportunity to look for suitable employment prospects. Students holding residency visas that are sponsored by the parents will also be renewed. Children under the sponsorship of their parents, after completing their university or high school, or those turning 18 years of age, will be given a one-year residency visa that can be renewed for another year. For visitors and tourists in the UAE whose entry permits will expire, they will be permitted an extension of 30 days without leaving the country. The extension can be granted twice only, irrespective of the main duration of the original visa.